« PLENT to explain its proposal in Brussels. Come and discuss with us! A group of Spanish fathers has gone to court to demand equal (and totally non-transferable) paternity leave to the mothers – 16 weeks 100% paid. For the moment 8 fathers have taken legal action, and many others are waiting to do so as their babies are born in the next future. The Spanish PLENT Chapter, PPIINA, is supporting these actions and acts as stake holder in the legal process. 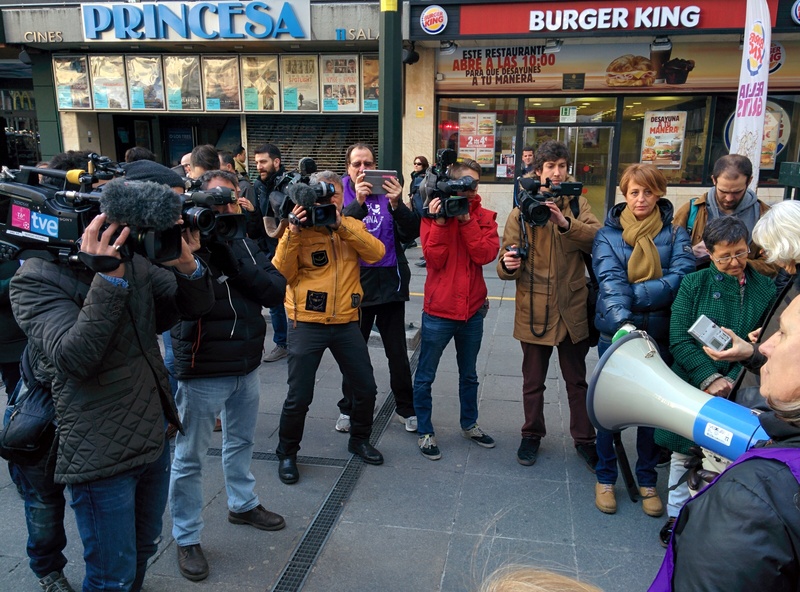 The eight fathers protested in Madrid on Tuesday accompanied by their partners and babies in prams. The protestors carried signs that declared “end maternity leave discrimination” and “equal rights with 100 percent pay”. PPIINA declared that this situation could have been avoid if the Spanish Parliament had pass the PPIINA proposal of reform so that parental leave is equal for each parent, totally non-transferable and paid at 100% of the salary. The PPIINA Proposal of Law was registered in the Spanish Parliament in June 2012. Although in October 2012 the Parliament voted, by unanimity, one “Proposal Not of Law” in agreement with this proposal, no further progress has been made at legislative level. Read here the news in English. 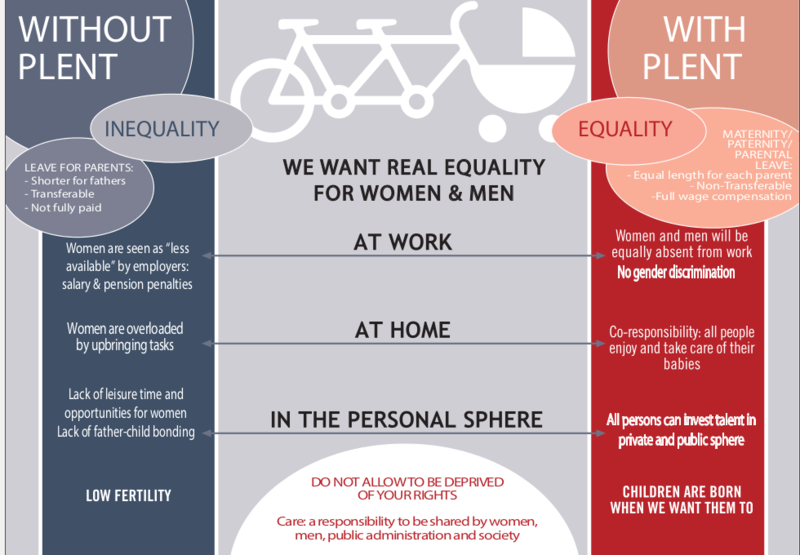 Tagged Gender Equality, Paternity Leave, PLENT News. Bookmark the permalink.